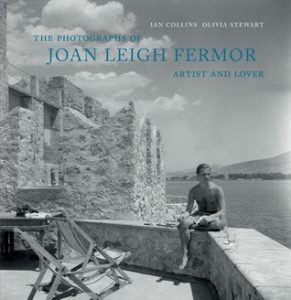 For years Joan stood in the shadow of her much more famous husband Patrick Leigh Fermor. Hus accounts of travelling around the Caribbean, his World War two exploits and his ‘great trudge’ across pre-war Europe are well known. Thankfully Joan is now getting some attention. Her biography by Simon Fenwick is well worth reading for greater insight into her own life. One of the things that she was most famous for before the war was her photographs, most notably of the London blitz and architectural photos. After separating from her husband, she headed out to Egypt and it was there that she met Paddy. After the war then ended up in Kardamyli, in the Mani, where they put down roots and eventually built their own home there. She never gave up the photography though, and this book drawn is from an unknown treasure trove of photos that was discovered after her death. It is quite a special collection that Olivia Stewart & Ian Collins have drawn together. In here are photos of Paddy and the people that were in their circle of friends, but there is a much richer seam of life that she has captured from Greece. In here she has captured the buildings and people that inhabit the landscapes in a series of beautifully composed images. Even though these are a curated selection from an archive of 5000 images, she is a photography of some talent. Each of the images have some element that captures the eye, the people, the places or just the energy from the subject matter. The second part of the books is a biography of her and her work, not as comprehensive as Simon Fenwick’s book, as you’d expect, but this is about the photos and shows her mastery of the subject. 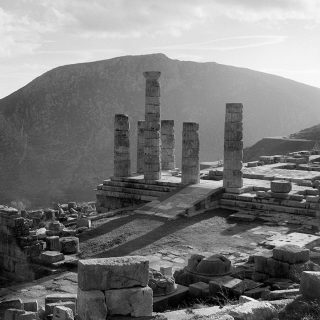 This beautiful book is essential for any fan of Patrick Leigh Fermor.